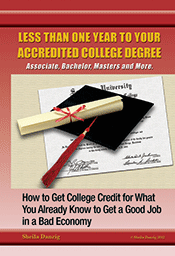 Employers are looking for your degree in your resume. More and more jobs now require a minimum of a bachelors degree, and for those that don’t, having completed a degree gives you a great advantage when it comes to getting hired. But what if you don’t have a degree, or have an incomplete degree? When you’re writing your resume, a good option for this is to put your education at the bottom, beneath your work experience. Include any other professional trainings or education you have completed, and any college that you may have taken. In the work experience section, be sure to emphasize the educational aspects of the work you have done, including new skills and knowledge applicable to the position you are applying for that you learned in the workplace.